Reddit, and in particular the Futurology sub-Reddit, is a great place to keep abreast of the latest news in, um… futurology. What I particularly like is the vigorous debate. There are passionate believers in the utopian future that technology may bring us, and also trenchant sceptics who think the whole thing is a massive circle-jerk. Kurzweil AI. Ray Kurzweil divides opinion, but he has done more than anyone else to raise awareness that conscious machines may be with us soon. This site, compiled on his behalf, is a valuable source of news and views. Singularity 1 on 1. Nikola Danaylov’s podcast interviews are an excellent resource for anyone wanting to get acquainted with and stay up-to-date with the issues raised by the arrival of conscious machines, and transhumanism in general. Three other highly-recommended podcasts on all things futuristic are Review the Future, Robot Overlordz, and Singularity Bros. The Transhumanist Reader. Natasha Vita-More is one of the original pioneers of transhumanist thought, and this book is a very useful compendium of articles by many of the movement’s leading thinkers. Rise of the Robots is the best book (apart from The Economic Singularity, of course) about the prospects for technological unemployment, by Silicon Valley software entrepreneur Martin Ford. It avoids any firm conclusions about what will happen, and how to address the problem. The Second Machine Age by Erik Brynjolfsson and Andrew Mcafee adds academic credentials. It maintains a slightly unconvincing optimism about the likelihood of widespread permanent unemployment. Brain preservation is one of the most controversial aspects of transhumanist thought. It deserves more attention, and frankly, a huge investment. Death is an unnecessary holocaust, depriving us of 150,000-plus minds a day. An Apollo Project could probably stop this within a decade. Our children will think we were mad not to do it. Alcor. The largest organisation offering to flash-freeze you (your head or your whole body) when you die in the hope that you can be unfrozen years later when technology permits. Just like Frank Poole in Arthur C. Clark’s 3001. The Brain Preservation Foundation. Ken Haworth, John Smart and others argue that chemical fixation and plastic embedding is the most promising route to brain preservation. Many transhumanists take it for granted that the arrival of artificial intelligence will be a Very Good Thing. Hollywood (Terminator, Matrix, Blade Runner, etc) usually thinks the opposite. Some people take a more balanced view. Nick Bostrom. A philosophy professor at Oxford University and Director of the Future of Humanity Institute there. A very smart fellow. Hugo de Garis. If Ray Kurzweil is an extreme optimist, professor de Garis is at the other end of the spectrum. An intriguing thinker, always provocative and sometimes persuasive. 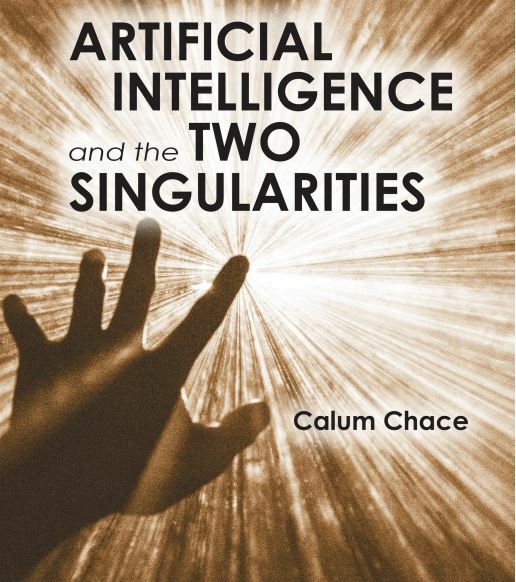 There are of course more books and films on AI than you can shake a stick at. These three authors are among my favourites. Greg Egan. Many people who think about the arrival of artificial intelligence agree that the best fiction on the subject has been written by Greg Egan. See especially his novels Permutation City and Diaspora, and his short story, Learning To Be Me. Robert J Sawyer. The WWW trilogy (Wake, Watch, and Wonder) are a nice example of an optimistic outlook. Will Hertling. There are four books in the Singularity series. They are brave and engaging explorations of what life will be like if and when artificial general intelligence is created. Can artificial minds be created? If so, when and how? Governments and corporates are now spending serious money to find out. The Human Brain Project. Henry Markram persuaded the EU to provide €1bn to enable him to build a working model of a human brain. He says it’s to help cure Alzheimer’s. Even if that is the sum of his ambitions, a successful HBP will have far greater impacts. BRAIN. Brain Research through Advancing Innovative Neurotechnologies – an uninspired backronym. It was announced by President Obama in April 2013, with a projected budget of $3bn over ten years. Can’t have America being out-spent by the Old World! But what are the Chinese up to? And Google? Probably our best hope for surviving the arrival of AGI. But it’s hard. Anders Sandberg. A colleague of Nick Bostrom at the Oxford Institute for the Future of Humanity has compiled this very useful list of sources on uploading. Dear Calum, I am CEO of a leading indipendent investment advisory firm in italy. We advise in 100 billion euro of assets managed by professional bodies pension funds and life insurance conpanies. Would you be interested in speaking at our conference we are organizing in Saint Noritz 7-10 December? Your arguments are fascinating! Hi Andrea. Thanks for getting in touch. 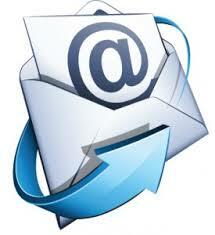 May I have your email address, please?